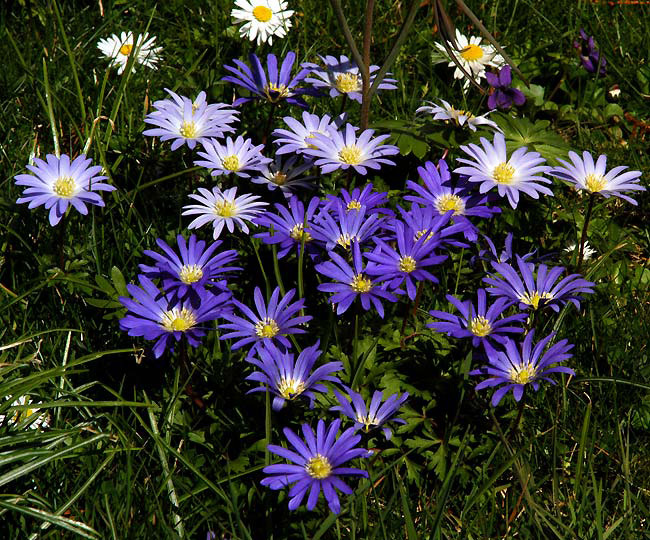 Anemone blanda – This beautiful species is a native of the Balkan eastwards to Turkey. Once established the plant can form extensive colonies by seeding about freely. It grows without difficulty in my meadow.